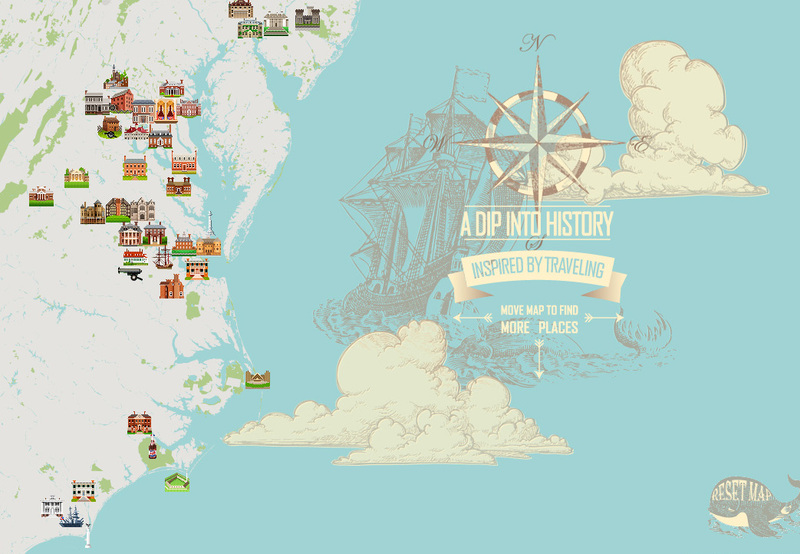 This small experimental project may help you to explore a big collection of attractions and historic places on the East Coast of US. I would like to share some interesting traveling experience around the parks, colonial plantations, historic towns, battlefields, forts, beautiful mansions and small hidden gems. Photos, map locations and useful info may help you to plan your trip and see the big picture of the attractions location. Also you may use website articles to make interesting virtual tour around the places you haven't seen yet, or you may compare my story with your own impressions. I can't know all facts about visited places, I use photos, memory and some basic information from the open sources. Overall, I'm trying to highlight impressive and spectacular moments about the visited places, sorry in advance if I missed something. Website collection is starting only with few sites but it's refilling with new objects all the time. You may check out last news about new entries and important updates in the Travel Blog Section. Eastern State Penitentiary, Nemours Mansion, Hillwood Estate, Sully Historic Site, Mount Vernon, Gunston Hall, Washington Birthplace, Kenmore Plantation, Stratford Hall, Montpelier, Jefferson's Monticello, Agecroft Hall, Virginia House, Governor's Palace, Williamsburg Capitol building, Lee Hall Mansion, Bacon's Castle, Roanoke Colony, Tryon Palace, Birthplace of Pepsi, Fort Macon, Poplar Grove Plantation, Bellamy Mansion, USS North Carolina, Fort Fisher, Russell House, Flagler College, Lightner Museum, Villa Vizcaya Museum, Hagley Museum and Library, Winterthur Museum, Harpers Ferry, Ford's Theatre, Manassas Battlefield, Berkeley Plantation, Appomattox Manor, Petersburg Battlefield, Jamestown Settlement, Maymont Foundation, Colonial National Historical Park & Yorktown Battlefield, Colvin Run Mill, FAIRFAX MUSEUM & VISITORS CENTER, Belair Mansion and Belair Stud, Castillo de San Marcos, Westover Plantation, Sherwood Forest Plantation, Smith's Fort Plantation, The Breakers. Vanderbilt summer cottage, Lockwood–Mathews 62-room Mansion, Yale University Art Gallery and Yale Center for British Art houses, Marble House is a Gilded Age mansion in Newport, RI, Fort Adams in Newport, The Elms, Brown University, Providence.